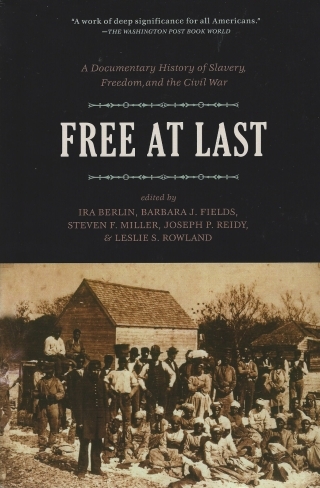 Free at Last makes available in a single volume the most moving and informative documents from the first four volumes of Freedom: A Documentary History of Emancipation . The triumph and travail of emancipation emerge in the words of the participants–liberated slaves and defeated slaveholders, soldiers and civilians, common folk and aristocrats, Northerners and Southerners. 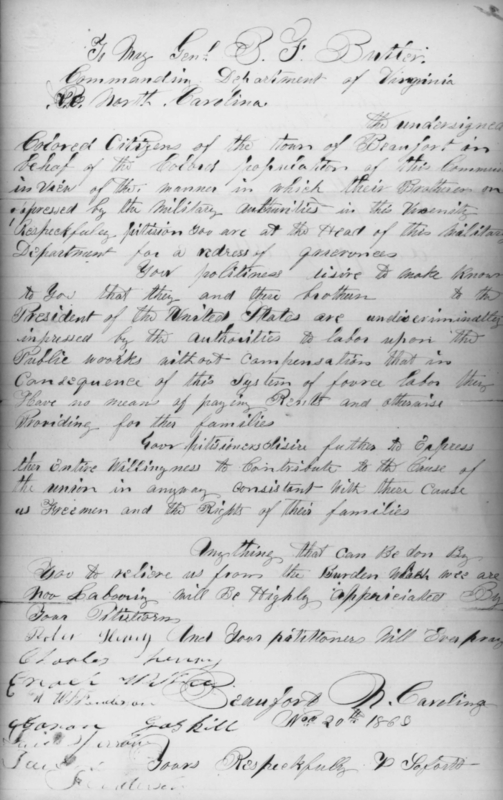 The documents reveal the active role of slaves and former slaves in escaping slavery, aiding the Union cause as laborers and soldiers, transforming the war for the Union into a war against slavery, and giving meaning to their newly won freedom in a nation wracked by warfare and political upheaval. Available in paperback and suitable for classroom use, Free at Last includes a convenient chronology of wartime emancipation and suggestions for further reading. Free at Last received the Lincoln Prize, which is awarded annually to the finest scholarly work on the Civil War era. Copies of Free at Last may be purchased from The New Press online, by telephone (800-233-4830), or by fax (212-629-8617). 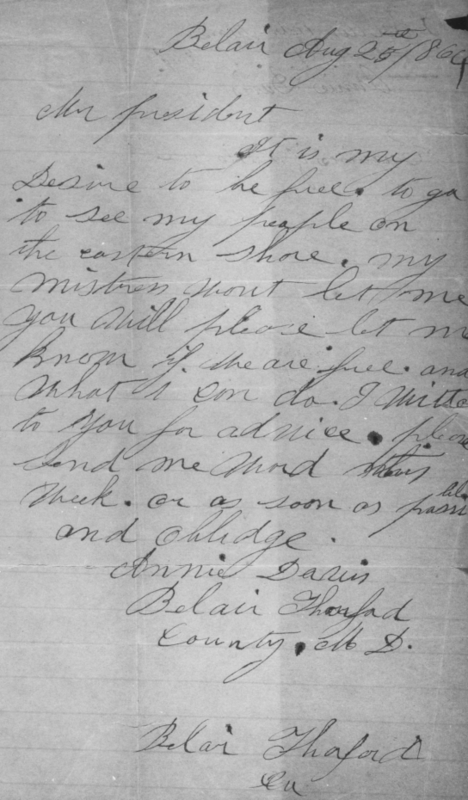 Writing to the Union commander at St. Louis, a white Missourian sought and received assurances that the federal government would protect slavery. General Benjamin F. Butler, the federal commander at Fortress Monroe, Virginia, explained his rationale for accepting and providing for fugitive slaves who had come into his lines, even though the Union had pledged not to interfere with slavery. A general in the Union state of Kentucky found fugitive slaves useful as military laborers, but hesitated to employ them for fear of alienating their owners. His superior, General William T. Sherman, directed him to avoid the dilemma by excluding runaways from his lines altogether. 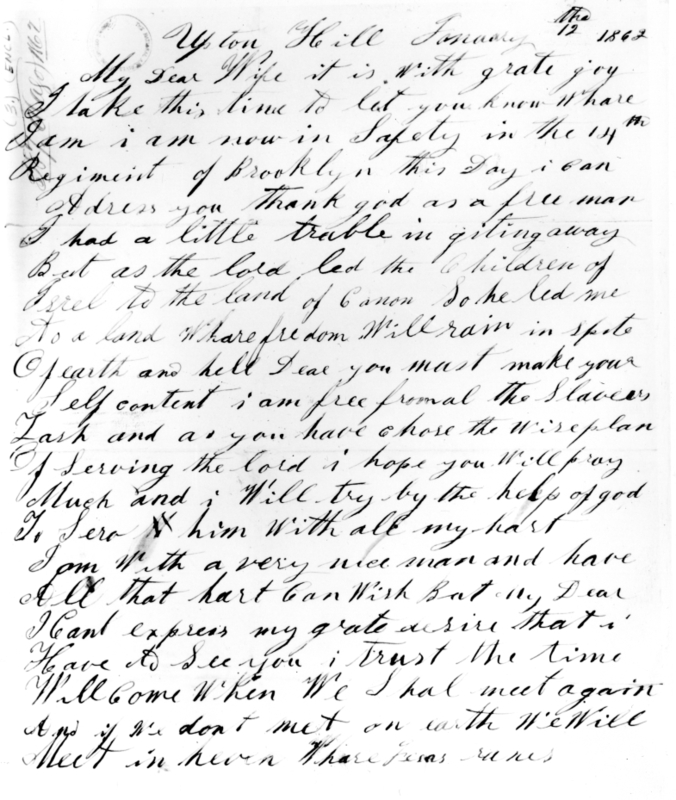 When a Maryland slaveowner trying to recover his fugitive slave was driven away from a camp of Massachusetts soldiers, he appealed to Thomas H. Hicks, the governor of Maryland, who urged the Secretary of War to enforce the law, protect slave property, and thereby ensure the state's loyalty. Governor John A. Andrew protested when he learned that soldiers from his state had been ordered to return several slaves who had come into their encampment in Maryland. Left behind on plantations by owners fleeing federal invasion, former slaves on the South Carolina sea islands generally remained in place and worked for themselves – to the annoyance of a commander of the invading force who had hoped to employ them as military laborers. Learning of incidents in which Union soldiers had thwarted attempts by slaveholders to recover escaped slaves, a delegation of Maryland legislators protested to Secretary of War Edwin M. Stanton. As the U.S. Congress considered a proposal to emancipate slaves in the District of Columbia, Washington's City Council objected that the measure would lead to an influx of an unwelcome population. When a Union general operating in northern Alabama informed Secretary of War Edwin M. Stanton that he had promised protection to slaves who had provided vital military information, Stanton approved, arguing that refusal to employ the services of slaves would handicap the Union war effort. After General David Hunter issued an order declaring free all the slaves in South Carolina, Georgia, and Florida, President Lincoln quickly overruled him and used the occasion to press his own plan for gradual emancipation, with compensation to owners. 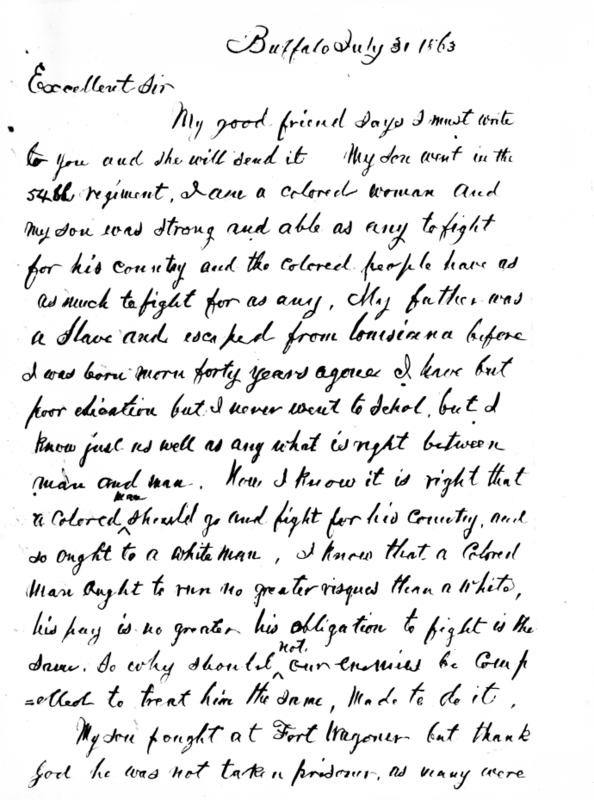 Writing to a former West Point classmate, General William T. Sherman explained why he would not return fugitive slaves to their owners. After capturing a former slave who had reached Union lines and then attempted to return home and liberate others, a Confederate officer asked his superiors how to deal with such “missionaries” of freedom. Outraged by an incident in which ex-slave military laborers, joined by federal soldiers, had forcibly liberated the family of one of the laborers, slaveholders complained to Edward Stanly, whom President Lincoln had appointed military governor of North Carolina; Stanly conveyed their protest to the state's military commander. On behalf of the men of the 54th Massachusetts Infantry, Corporal James Henry Gooding protested the injustice of the Union's paying its black soldiers–in this case, Northern free men rather than Southern ex-slaves–less than their white comrades. In an area not far from Union lines, a patrol guard and a pack of hounds helped prevent slaves from running away – at least until members of the patrol were drafted into the Confederate army. One slaveholder asked President Jefferson Davis to return the patrol to its former duties. After escaping slavery in 1861, Octave Johnson of Louisiana lived in the woods for more than a year before entering Union lines near New Orleans, after which he first worked as a military labor and later enlisted as a soldier. Private Spotswood Rice promised his daughters–and warned the woman who owned one of them–that their liberation was at hand. Two captured Union officers who slipped their guards in Charleston, South Carolina, recounted the saga of their safe return to federal lines–abetted by black people, slave and free, and by German-immigrant unionists in the city. 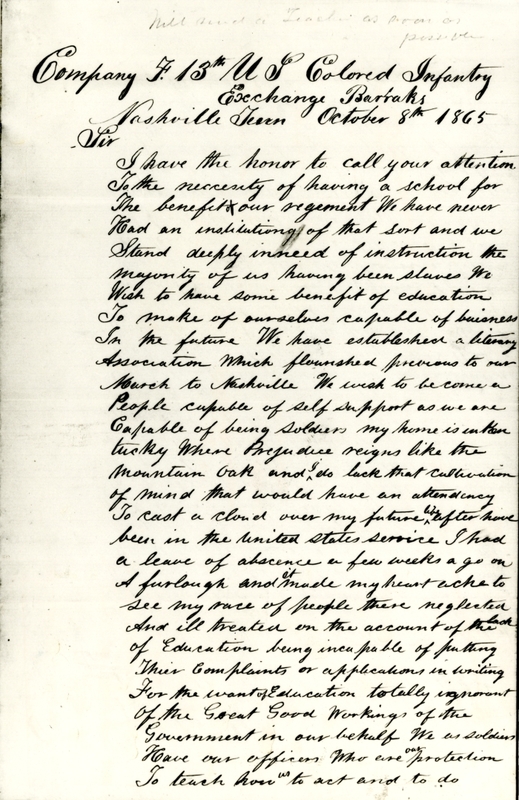 Fearing that President Andrew Johnson might lift martial law in Kentucky – a Union state in which slavery remained legal, although crippled by the events of the war – black Kentuckians traveled to Washington to acquaint Johnson with the state of affairs and present him with their petition. After the war, a freedman who had attempted unsuccessfully to flee from his owner in 1864 described the horrific punishment inflicted on him after his capture. Alonzo Jackson, during the war a slave at Georgetown, on the South Carolina coast, described for a postwar commission the assistance he had rendered Northern soldiers who escaped from the prisoner-of-war stockade at Florence, in the interior of the state. The Union troops who in late 1864 liberated Nancy Johnson and her husband from slavery also stripped them of property they had painstakingly accumulated, undermining their ability to support themselves in freedom. Attempting to gain compensation years later, she testified before a federal commission. News of federal emancipation policies traveled fast among slaves in the Confederacy, sometimes borne by slaves who had returned home after accompanying their owners to the front lines. One such slave was Samuel Elliott, who years after the war recalled the reaction of fellow slaves on his plantation.